Our work with younger children focuses on sharing the excitement of learning and exploring new possibilities. We aim to inspire children through the competitions we organise for primary schools in different sports as well as in art, mathematics and even performing a play in a foreign language. Twice a year we stage a special musical theatre performance specifically for Year 5 and 6 students. Each week Sixth Form students assist class teachers in a number of Abingdon primary schools as part of their service to the community. Students challenge themselves by devising and running their own lunchtime clubs to pass on their enthusiasm to the children, or by preparing and delivering foreign language workshops. Partnerships with secondary schools aim to add breadth and depth to young people’s experience of the curriculum. Secondary school students frequently come to St Helen’s to hear talks or take part in debates, workshops and masterclasses facilitated by notable subject specialists. 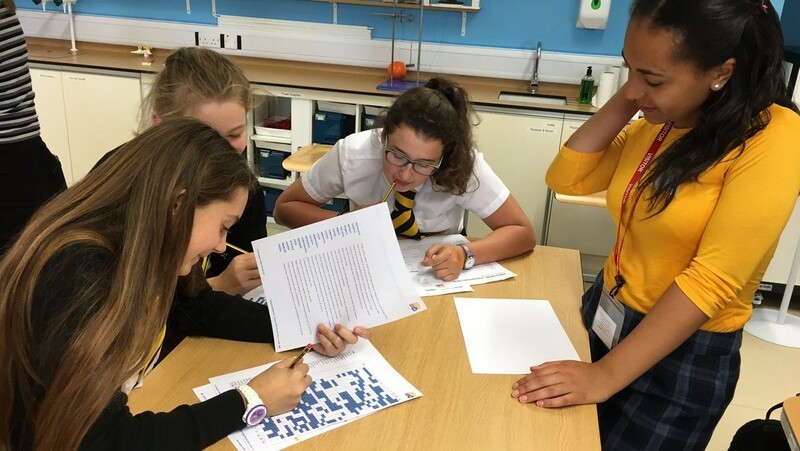 We run regular groups in which St Helen’s students team up with students from partner schools including book groups, competitions and the Model United Nations. Girls Do Physics is a new partnership between St Helen’s and our closest neighbour, Larkmead School, aimed at inspiring girls to continue studying physics to GCSE and A-Level. A group of 30 Year 9 students from Larkmead come to St Helen’s for five Girls Do Physics sessions through the year. Each session is active and hands-on, enabling students to delve deeper into a fascinating range of physics topics including astrophysics, medical physics, engineering and careers and aptitude. Signs so far are very positive that these focused sessions are inspiring Year 9 students to choose triple science and to participate with greater confidence in their physics lessons at school.